In support of Who Shot Sports, the Allentown Art Museum invites you to come out and hear firsthand stories from legendary boxer Larry Holmes about his life and career. Entry to the exhibition is free today. In October 1980, as Muhammad Ali was preparing to fight for an unprecedented fourth heavyweight title against his friend and former sparring partner Larry Holmes, documentarians Albert and David Maysles filmed an intimate look at Ali trying to convince the world and perhaps himself that he was still “The Greatest.“ At the same time, they documented the mild-mannered and undervalued champion Holmes as he confidently prepared to put an end to the career of a man for whom he had an abiding and deep affection. 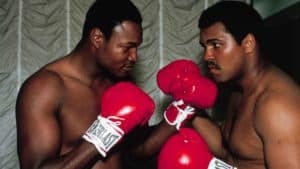 Larry Holmes will visit the Allentown Art Museum from 3 till 5 p.m. to introduce ESPN’s 30/30 Muhammad and Larry documentary and host a Q&A session directly after. Free entry, but seating is limited so come early. Larry Holmes (born November 3, 1949) is an American boxer who competed from 1973 to 2002. He grew up in Easton, Pennsylvania, which gave birth to his boxing nickname “the Easton Assassin.” Holmes, whose left jab is rated among the best in boxing history, held the WBC heavyweight title from 1978 to 1983, The Ring magazine and lineal heavyweight titles from 1980 to 1985, and the inaugural IBF heavyweight title from 1983 to 1985. He made 19 successful title defenses, placing him third all time behind only Joe Louis at 25 and Wladimir Klitschko at 22. 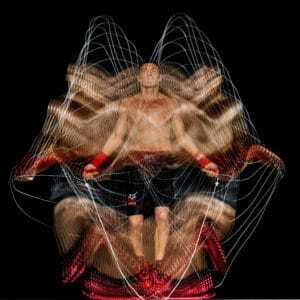 He also holds the record for the longest individual heavyweight title streak in modern boxing history. Holmes is one of only five boxers—along with Joe Frazier, Ken Norton, Leon Spinks and Trevor Berbick—to defeat Muhammad Ali; he is the only one to have stopped Ali. Teens can learn from a local photographer about the principles of photography and develop their own unique photographic perspective. 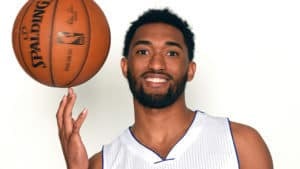 Two very special guests will assist with the day’s activities: Lehigh Valley Steelhawks’ player Dante Holmes and professional NBA player Darrun Hilliard. Free, but space is limited; to reserve call Isaiah at 610-432-4333 x136.